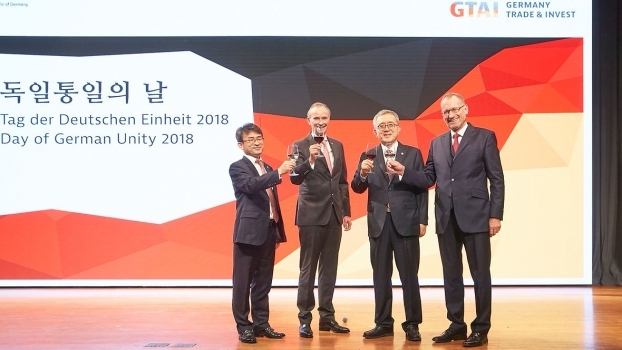 October 5, 2018: Seoul. 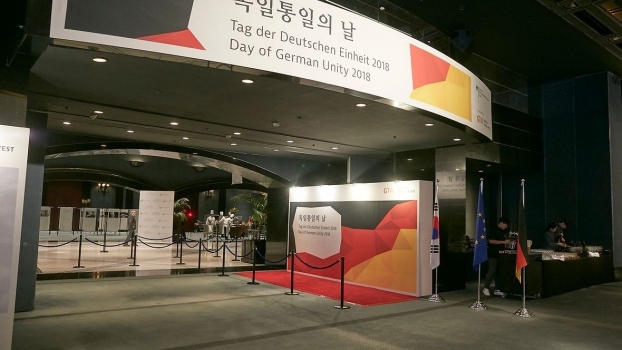 Ambassador Stephan Auer and his wife Vera Auer invited about 5,000 guests to the Grand Hyatt Seoul to mark the occasion of German Unity Day. 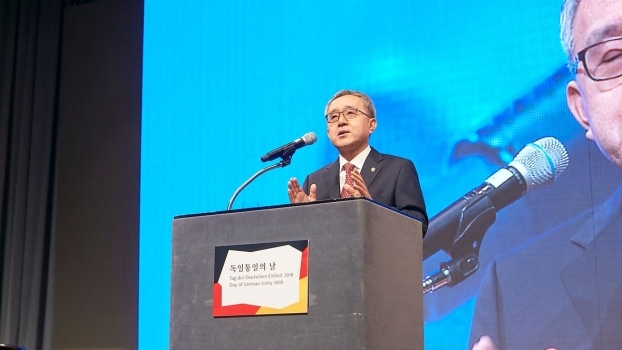 The Ambassador underlined in his opening remarks that Germans and Koreans share common interests and values and can depend on each other. 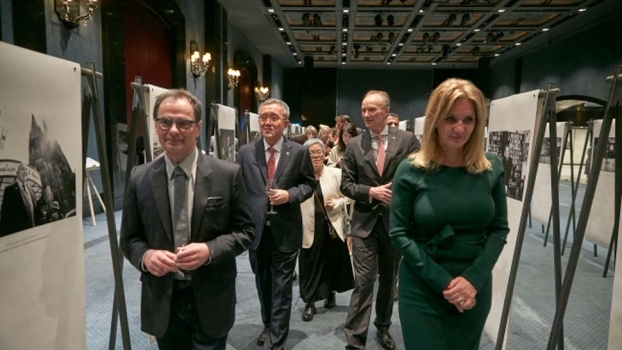 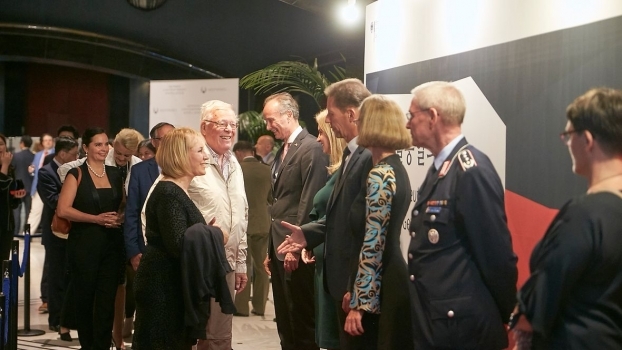 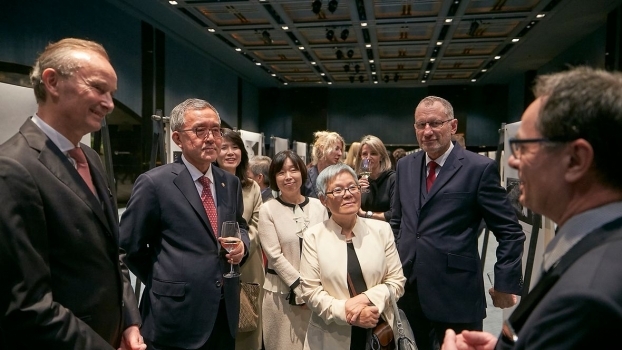 Gerhard Steidl led a VIP delegation – consisting of Ambassador Auer, guest of honour Kim Pan-Suk, the Minister of Personnel Management and CEOs – through the GERMAN CONTEMPORARY EXCELLENCE pop-up exhibition.